Fall is a tough time of year for me as I am torn between fishing, hunting and yard work. I used to small game hunt some time ago but have since graduated to archery hunting for deer. I also rifle hunt for deer. Archery hunting has changed considerably from the days of the recurve bow. Today we use compound bows and also the cross bow has become popular. Bows have become lighter and have the ability to send an arrow with faster speed. Technological advances in design and construction have been driven by the increased popularity of archery. The moderate weather of the fall coupled with an expanded season in comparison to the firearms season in many states has also been a contributing factor for the wide spread appeal of bow hunting. I began bow hunting around twenty five years ago and found out rather quickly that I had much to learn. Although my skill with a bow is good, the ability to take a shot was the challenge. I do not hunt from a raised platform. It seems like every opportunity I have to use the bow is met with a deer that is at my eye level and looking right at me. If I were in a tree it would not see me pull back the bow so I’m usually successful in killing a tree that I did not see in the early light of dawn. Probably one of the most appealing things about archery season is the quiet. Unlike firearm season the air is not disturbed by the sound of gunfire. The stillness of the woods gives you the opportunity to watch wildlife in an undisturbed setting. A fond memory of mine was the day when I watched a coyote from a distance of 15 yards chase field mice. Sitting in the woods I have seen eagles, hawks and owls up close and just enjoyed the sights and smells of the outdoors. Much like fly fishing, archery is a quiet sport that provides the individual with the opportunity to enjoy nature to its fullest. I have yet to take a deer with an arrow but, like in all the years past, I am still in pursuit. 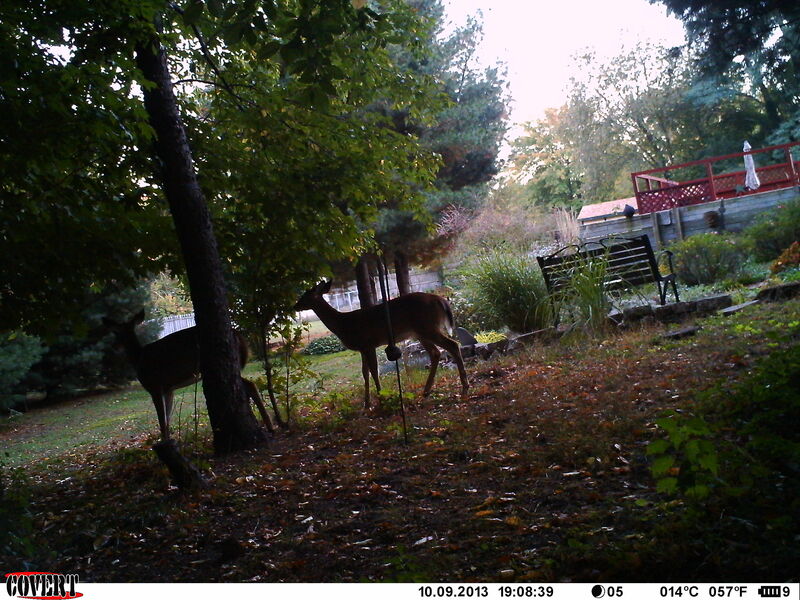 This entry was posted in hunting, Uncategorized and tagged archery, deer, fall, hunting, outdoors, wildlife. Bookmark the permalink.